The coconut tree is not only beautiful but also very useful. Valued commercially for beauty products, oils and raw fruit, coconuts are widely grown in areas with tropical weather. However, different kinds of coconut tree problems may interfere with healthy growth of this tree. Therefore, proper diagnosis and treatment of coconut tree issues is essential in order of the tree to thrive. There are a number of pests that frequent the coconut tree, causing considerable damage. Coconut scale insects and mealybugs are sap-sucking pests that feed on sap found in plant cells while excreting toxins from their salivary glands. Leaves eventually turn yellow and die. These coconut palm tree insects can also spread to nearby fruit trees and cause significant damage. Microscopic coconut mites will cause nuts to have a rough, corky texture. Heavy mite feeding results in deformed coconuts. Coconut black beetles have been a cause for concern in some areas where they burrow between leaf sheaths and eat the soft foliage tissue. Using an iron beetle hook or a pheromone trap can control these beetles. Other kinds of coconut tree problems include diseases. 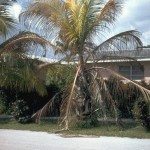 Some of the more common coconut tree disease issues include fungal or bacterial problems. Fungal pathogens can cause bud rot, which is diagnosed by the appearance of black lesions on young fronds and leaves. As the disease spreads, the tree becomes weak and has a difficult time fighting off other invaders. Eventually, the fronds will all be gone, and only the trunk will remain. Unfortunately, the coconut tree dying is inevitable once the disease has spread and the tree should be removed. The fungus Ganoderma sonata causes ganoderma root, which can injure many species of palm trees by feeding on plant tissue. Older fronds begin to droop and collapse while new fronds will be stunted and pale in color. 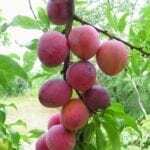 There is no chemical control for this disease, which will kill palms in three years or less. Leaf infestations called “leaf spots” can occur on coconut trees and are caused by both fungi and bacteria. Circular or elongated spots develop on foliage. Prevention includes not letting irrigation wet the foliage. Leaf infestations rarely kill a tree but can be controlled by fungicidal sprays if severe. The successful treatment of coconut tree issues can normally occur with prevention and early detection of coconut tree disease and pest infestations. Read more articles about Coconut Trees.